Mirage Textured Glass Walls. 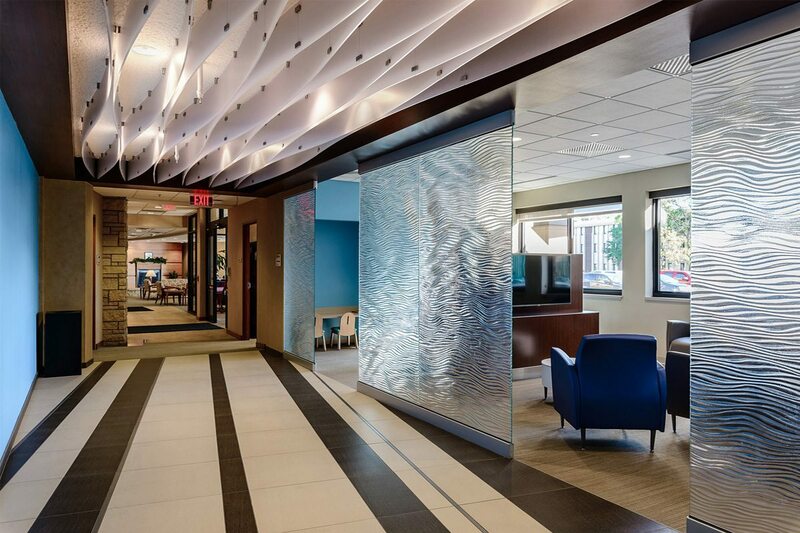 Elegant, thick, deeply textured glass walls are used in this beautiful Mother Mercy healthcare project in Minnesota. Our kiln formed glass production is used to define the individual spaces, create privacy, and add a stunning visual feature. Mirage textured glass panels, another exclusive from Nathan Allan Glass Studios, create functional, yet spectacular Glass Walls, and are featured throughout the project. 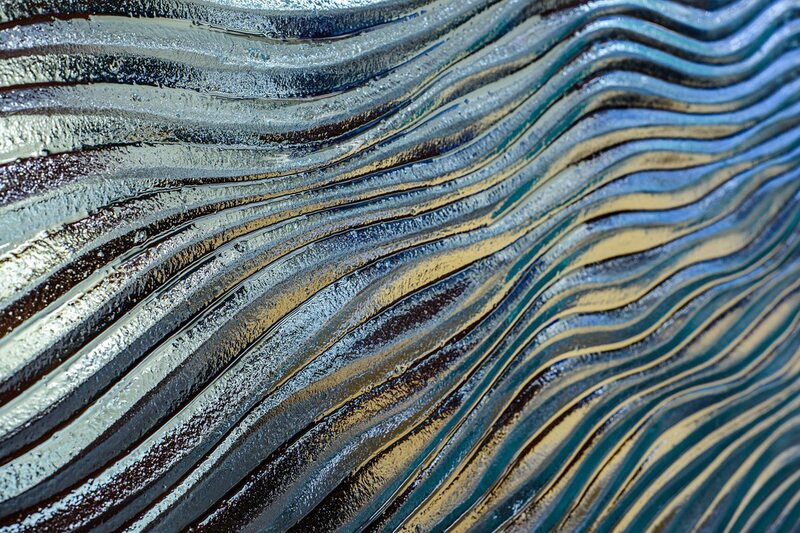 Nathan Allan’s textured glass panels have an anti-microbial, low maintenance quality, uniquely designed for Healthcare applications. Contact Nathan Allan Glass Studios in order to learn more about our products.